After I have added notes from the palette, how do I go back and highlight a note already on the page to edit it? I enter notes by going Windows > Show Palette and add my notes. But after that I might need to select and highlight some notes that I had entered to change or delete them. I haven't found a way to do that other than to close and reopen the program. You should be able to just use your mouse (or finger if you're using a tablet), and click on the note. To clear the mouse cursor, hit Escape. You can then delete it, or drag it up or down. Or you can make a selection of multiple notes by clicking and dragging. 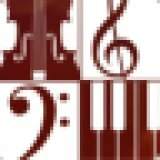 Is there a method to change all note and rest values by the same degree at once (I want to go from common to cut time)? How do I type an hyphen so it will "stay put" at the end of the syllable assigned to a note? Why do i have to go to Youtube to get help with a Product Ive purchased from you guys?????? How do I make my flute part play a trill when I place the trill symbol and extention over the note?